No Mother’s Day is complete without a steaming cup of tea, lively conversation and sumptuous treats! Enjoy panoramic views of Burj Like and The Dubai Fountain, melodic tunes played by a harpist or violinist, home-made smoked salmon with lemon and sumac, beef pastrami with pickle in tomato bread, and to finish on a sweet note, rose cheesecake and strawberry scones. On March 21 from 2pm – 6pm, priced at Dhs170 per person; mothers will receive special welcome beverages. Call 04 888 3444 or email dine@emaar.com. On March 11 and March 24, mothers who visit with their offspring can dine at Feast Restaurant free of charge. Even better, the venue’s expert chefs will make the experience extra-special by preparing a delightful dessert buffet adorned with flowers and featuring cute cakes decorated with thoughtful sentiments such as ‘Thank you’ and ‘Best mum’. Serving areas will be laden with cheese, olives and artisan bread; there will also be a carving station. This event is expected to be popular and table reservations are thus encouraged. Visit feastrestaurantdubai.com or call +971 4 503 4309. Gordon Ramsay’s Bread Street Kitchen & Bar is inviting families to enjoy Mother’s Day at the British eatery. On March 11, the Bread Street Kitchen team will be offering its delicious classic roast for Dhs135 per person and Mothers can also enjoy a well-deserved glass of complimentary bubbles. The quintessential British roast is served with a choice of either tender roast chicken or a juicy slab of sirloin of beef, with all the trimmings to indulge upon. 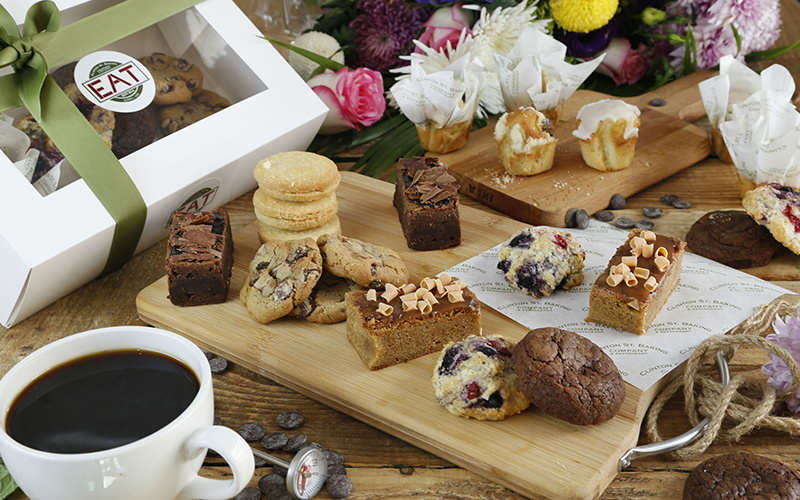 To show appreciation to mums, Bread Street Kitchen will also be presenting a special gift to all mothers. The a la carte menu, with dishes such as the signature beef Wellington and lobster tagliolini, will also be available for lunch or dinner on Mother’s Day. Call 04-426 2626. A refreshing take on the traditional Ladies’ Night, this Mother’s Day, Heavenly Spa invites mums to spoil themselves with an evening of pampering. Spend some dedicated time with your favourite ladies with mini spa treatments and wellness experiences, complemented by an assortment of healthy treats and beverages. Taking place on March 20 from 7pm – 9pm, the evening is priced at Dhs150, inclusive of mini massage treatments, healthy bites and refreshing beverages. Call +971 4 437 3300 or email heavenlyspaalhabtoorcity@westin.com. Save your mum’s morning coffee expenditure and treat her to this Nespresso Creatista Plus, which creates everything from a creamy Cappuccino through to a velvety Flat White or even a Latte that they can top with a beautiful milk foam design, all in the comfort of their own home. DHS2,300, NESPRESSO BOUTIQUES OR BUYNESPRESSO.COM. Make things easy and healthier in the kitchen for her with this De’Longhi Multifry Multicooker – it combines a low-oil fryer and a multicooker. DHS1,199, from all major supermarkets including CARREFOUR, GEANT, JASHANMAL. In celebration of UAE Mother’s Day, Clinton St. Baking Company is putting together a bakery box in honor of our queens. A cup of tea or coffee with a side of mixed berry scones – the true way to your Mummy’s heart! DHS250 (45-piece box) or DHS125 (18-piece box), CLINTON ST. BAKING COMPANY. Overnight oats are all the rage! Make things simple for mum, with this adorable mug that tells her exactly how much of each ingredient to add. DHS60, LAKELAND. If she’s a Paul Hollywood fan – his British Baking cookbook is a must-have! DHS90, LAKELAND.